There are loads of Gi‘s on the market specifically for Competition, everything from thick Judo collars to incredibly lightweight gis, designed to shave the pounds off in competition. But which one is really best for you? Thankfully, we’ve done some testing! The kind folks at Fighters Market Europe sent me their Kingz Nano Gi and their Pro-Comp 450 to train in for the last few months and now we have some great data to compare the two. 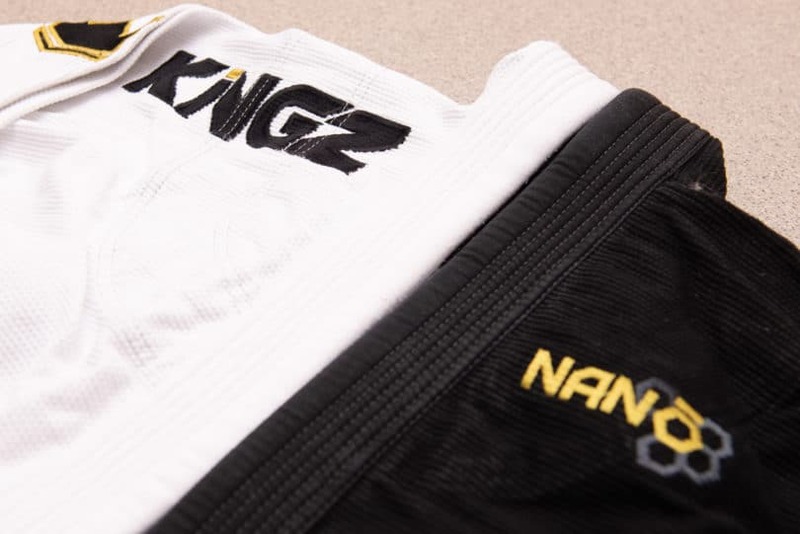 The Kingz Nano is one of the lightest gi’s available on the market currently, the only other gi currently lighter is the Kingz Ultralight, but the general rule of thumb about Gi’s is the lighter they get, the more stretchy they get during rolling. 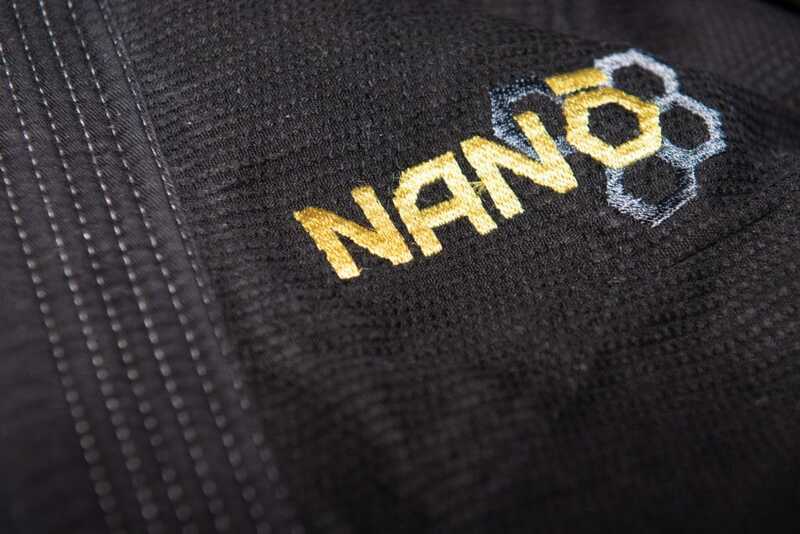 A light gi is normally made from a lightweight pearl weave, which is vulnerable to stretching, however, it’s something we’ve not seen a lot on the Nano. When it comes to Jiu-jitsu gis, I am around 93kg and I wear an A2L. I have an unusual body shape and most of my weight is evenly distributed around my body, which is why I get away with an A2L. On the jacket the first thing I noticed was the skirt, which seemed a bit short for an A2L, I compare this length with other gis I’ve owned in the past, including the Tatami Zero G v4 and the Scramble Standard Issue Gi. 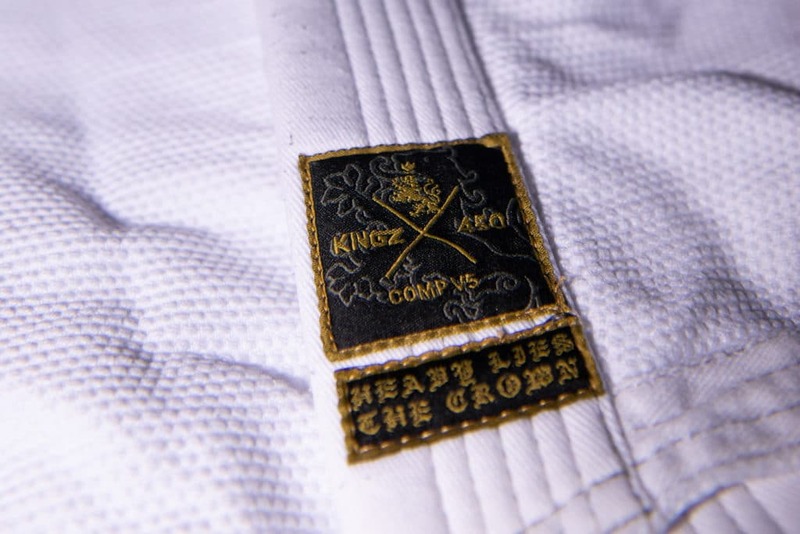 The second thing I noticed is that Kingz have gotten rid of the scratchy seam tape that has become standard on most BJJ Gis and instead have reinforced the edges of the jacket with drill cotton and 3 rows of stitching on the sleeves and two rows of stitching on the skirt edges. the Skirt slits have also been reinforced with drill cotton at the weak points also. Design wise, this Gi features some excellent looking detailing on the sleeves, with the standard Kingz Logo and intricate embroidery on the chest. 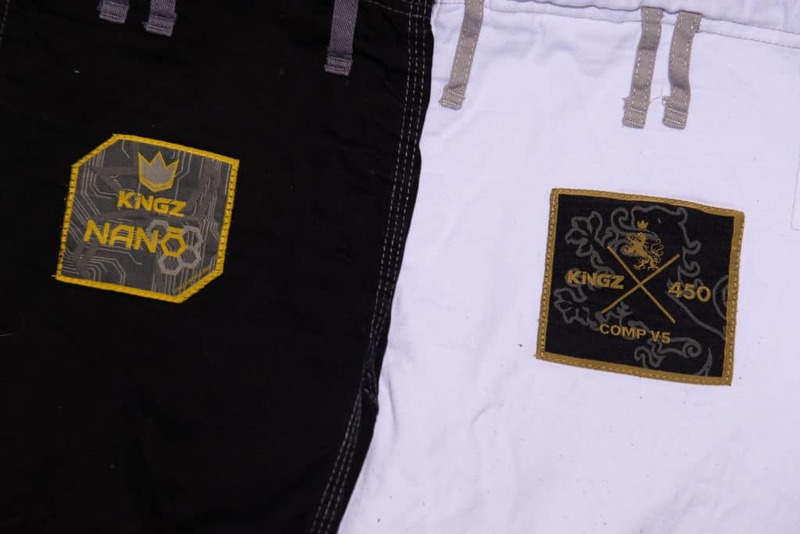 The Kingz Nano Pants are an 8-ounce pair of trousers made from cotton drill. These are a nice, comfy pair of jiu-jitsu pants with lots of reinforcements meaning these pants will look good and last a long time. The bottom of the pants features an extra layover of reinforcement, with 5 rows of stitching to stop any un-needed damage. The knees of the pants are also reinforced with an extra layer of cotton drill. The drawstring of the pants features a nice grippy cord, which has the right amount of stretch in it. These pants stay done up even during the most frantic of rolling sessions, so no embarrassing moments on the mats. Decoration wise, these pants are nice and plain, apart from the Kingz logo on the upper thigh and an embroidered Nano logo on the bottom of the pants leg. 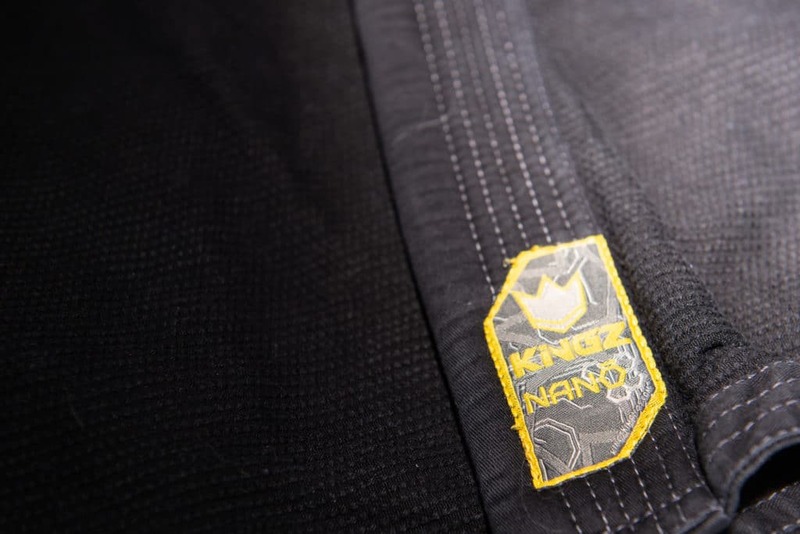 Since testing the Nano 1.0, Kingz and Fighters Market have released the Nano 2.0 and the specifications seem to show that it is a heavier model with a 400GSM kimono and 8-ounce pants. However, if you’re interested in the 1.0, they are currently on sale here. The Kingz Pro Comp 450 is the jiu-jitsu gi for competition, it’s the perfect balance between heavyweight and lightweight to bring you a gi that not only looks the part but won’t be having you desperately trying to shed those last few grams. Side by side the King Pro Comp feels sturdier than the Nano Jacket. That is because the Pro Comp Jacket is around 80GSM heavier than the Nano. The standout feature of the jacket are the two Kingz logos, which are embroidered on both shoulders. Similar to the nano jacket, this gi jacket features tonnes of reinforced areas. The Jacket sleeves feature a 5-row stitched reinforcements and the skirt features the same. The skirt length is the same as the nano, meaning it is shorter than other kimonos I have tried, however they are both still IBJJF legal. This gi is perfect for colder training sessions than the nano as it is slightly heavier. The Kingz Pro Comp Pants look and feel very similar to the Nano pants. The main difference between the two are the weights. The Pro Comp Pants are heavier than the Nano pants. The Pro Comp Pants are heavily reinforced on the seems and on the knees and feature the same drawstring as the Kingz Nano gi. Decoration wise, these pants are minimally decorated and feature a weaved logo on the left thigh and a small embroidered Kingz Logo on the thigh. This is a matter of preference, personally, I would look at competing in the Nano, it’s a slimmer fitting gi and the lighter weight is good for me, as I generally need those few grams to make weight. I prefer a lighter gi due to the heat wicking effects and don’t feel bogged down. That doesn’t mean the Pro Comp 450 should be ignored. As a middleweight competition gi, it’s one of the best on the market. Kingz have been producing quality gear for years and these two gis should be essentials for any Jiu-jitsu practitioner.